My God. 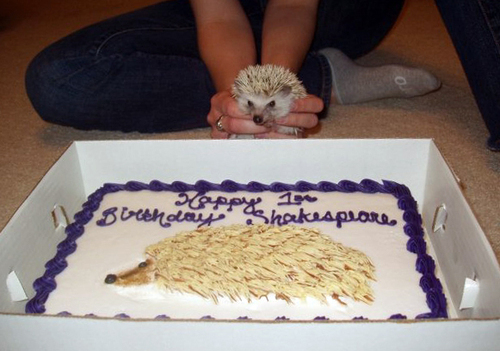 It&apos;s a cake with a hedgehog on it, celebrating the first birthday of a real life hedgehog, also pictured, who is named Shakespeare. Look at my pictures, damnit! My lovely Thanksgiving (vegetarian) mince pie. And finally… A hilarious series of pictures featuring Tobe with a giant ball of fur sticking out of his mouth!